Space might be at a premium and your budget tight, but that doesn't mean you're out of office options. Take that old china hutch as an example. With just a few simple changes, it can serve a second life in your home as an office command center. Should you decide to store dishes in it later, the changes can all be reversed. A china hutch doesn't have to just be for china. Create a place to store paper products, such as notepads and blank cards, by using a pipe cutter to trim 1/4-inch brass pipes to size. 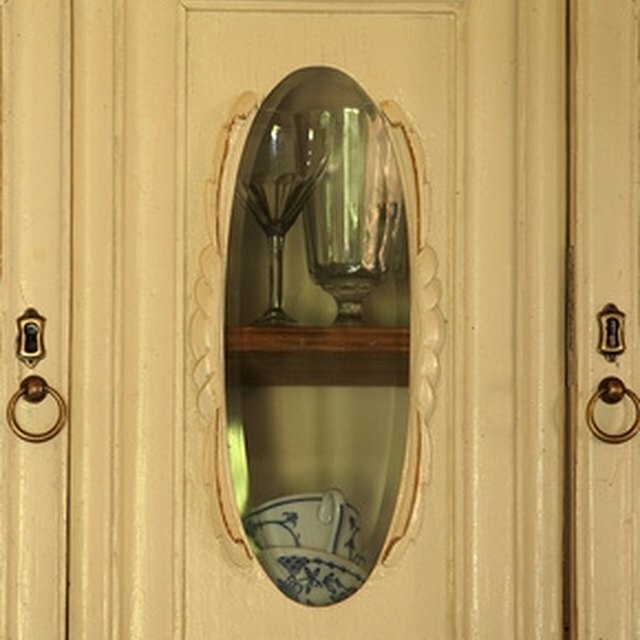 Trim them about 4 inches shorter than the depth of your china hutch Then, drill level holes about 6 inches away from each other into the side of the hutch. Finish by threading eye hooks into the holes and slipping the cut pipes through the eye hooks. 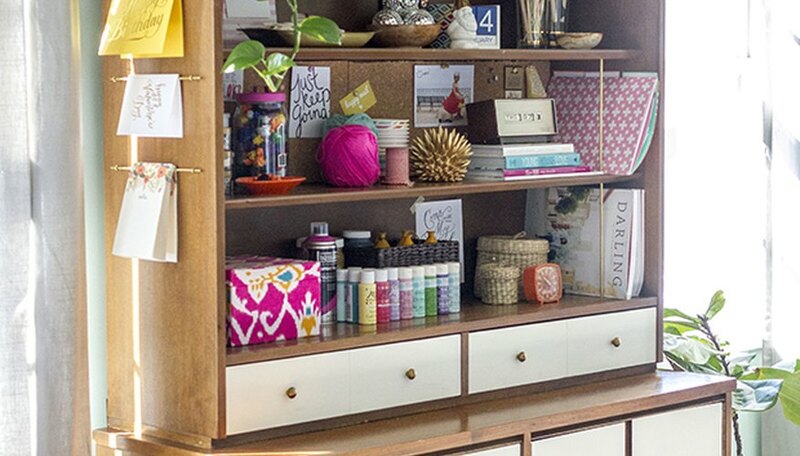 When it comes time to load up the drawers with office supplies, make it easier on yourself by making DIY drawer dividers for your smaller items, such as pens and markers Just saw thin pieces of hobby wood to the same depth as the hutch drawer. Then, use a heavy-duty adhesive glue to affix L-shaped brackets to either side of your cut wood to serve as a stand for the dividers. 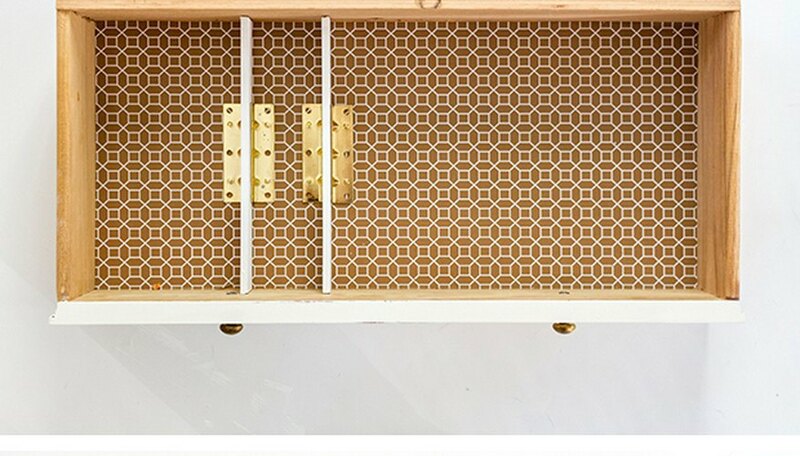 Use the same adhesive to adhere the dividers to the bottom of the drawer, or let them remain movable Your DIY dividers will help to keep drawers from becoming junky and overfilled. When filling your hutch drawers with office supplies, put what you'll use most often at the top. 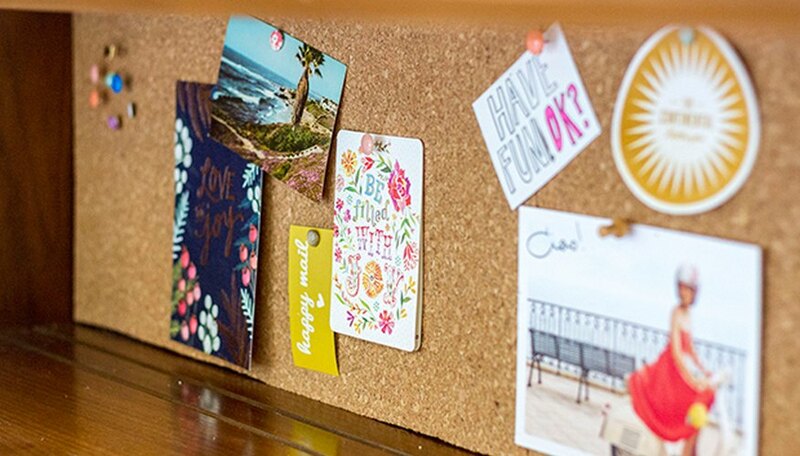 Keep notes and office inspiration handy with a handmade cork board. First use a box cutter to trim a piece of 1/4-inch foam core to fit snugly in between the shelves Then trim 1/4-inch cork to fit on the front of the foam core board, and glue it into place using a heavy-duty adhesive. Finish by pushing the board into place in between the hutch shelves If the board doesn't stay in place on its own, you can add removable sticky tabs to the back of the board to keep it from moving around over time. These can be removed if you decide to turn the cabinet back into a china hutch. Because offices require a place to store paper goods and books or magazines, create a special zone within your hutch to keep it all organized but in sight Start by using a pipe cutter to cut a piece of brass pipe to the same height as your shelves. 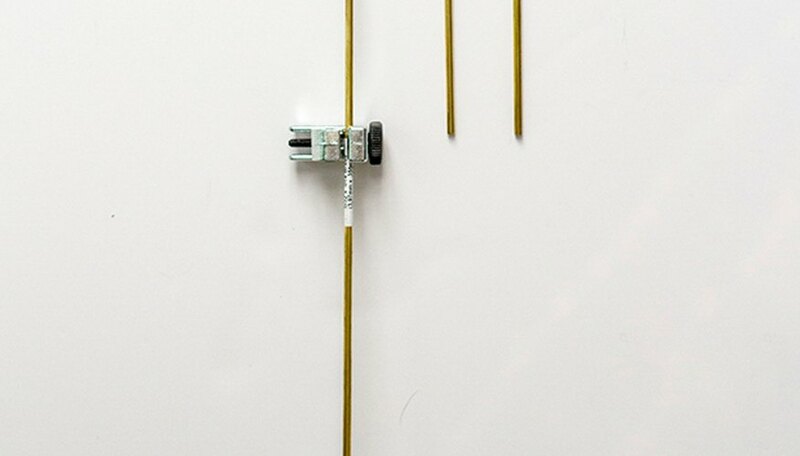 You'll want to add a fraction of a millimeter to the measurement to allow for a snug, spring-like effect Then, grab both ends of the pipe and bow it gently so that you can shimmy it into place between the shelves. Finish by using a level to get the pipe straight. You can use a hammer to gently tap the pipe to get it into place and perfectly level Have a stain touch-up marker on hand that matches your hutch's finish in case you need to mask scuffs in the wood. Repeat the steps a second time if you want to make two paper filing zones, and then fill the space with file folders and magazines. Your productivity will be at an all-time high with your new office command center. 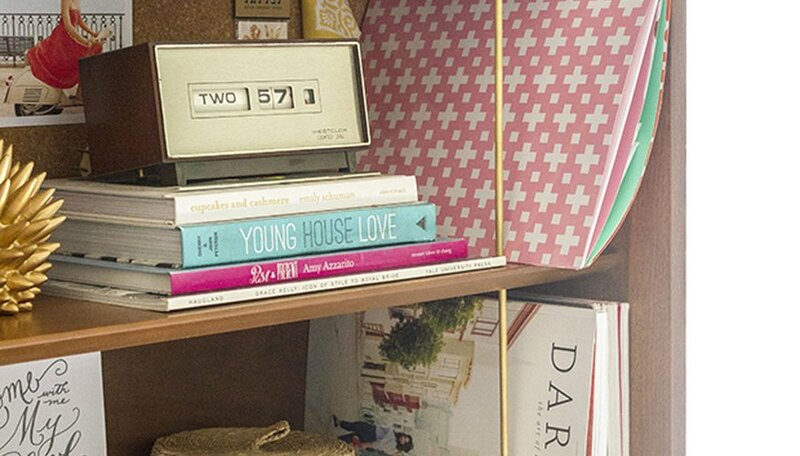 Upcycling a china hutch has never been so efficient.